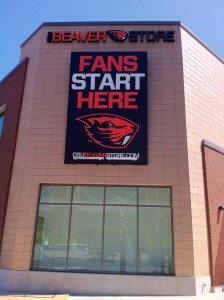 The OSU Bookstore on the Oregon State University campus is a two (2) story multi-use building. Its primary function is to act as the official bookstore for the university. The building has a “Continuous Insulation” system as the exterior skin. This system includes DOW foam panels with waterproofing already applied to each panel, over metal studs, interior spray foam to eliminate thermal bridging, and a grid system designed to accommodate the fours different elements that make up the exterior façade. The thin brick veneer panels were assembled offsite and included some 500 panels of various shapes and sizes. The panels were installed on the wall using a grid system with the joints grouted onsite to conceal the individual panels. When complete, this makes the wall look like a traditional brick and mortar installation. The terracotta panels are installed in the same fashion, utilizing a grid system similar to a typical Terracotta grid system. When installed, this system works like a rain screen with the open joints allowing moisture to come and go without affecting the system. Metal panels were utilized as accents in a few locations around the building to add interest and break up the brick veneer. The metal panels where prefinished to match all exposed flashing and window mullions. The precast concrete accents were to transition from brick veneer to terracotta or metal panel. The precast elements were also installed using the grid system. The project was deceivingly complicated and provided a great deal of challenges for the brick veneer panel supplier. 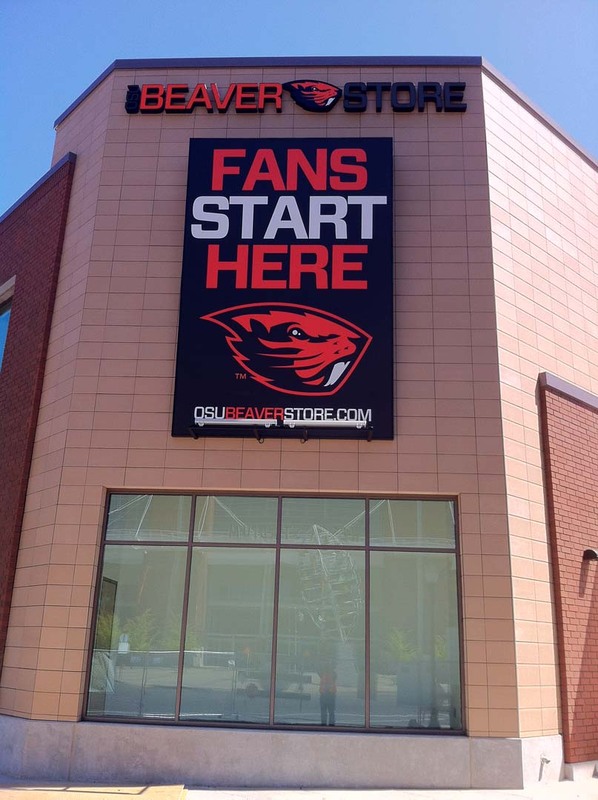 However, with a lot of sweat, engineering expertise, and collaboration between the supplier, general contractor and Columbia Stone, the project was completed and the new store took its place directly across the street from Reser Stadium, home of Beaver football. This entry was posted in Education on November 17, 2014 .